A dear quilting friend of mine lost her husband this Spring. She is young. She has three small children. It seems unthinkable. So a plan was hatched. A secret one. You see, we all met online. It seems what quilters do nowadays because there isn't a whole ton of quilters living on our own blocks. We met in a crafty/sewing group and basically started bonding over quilts. It led to a small Facebook group. It is wonderful. We bounce ideas, we help each other when we reach difficult parts of our projects. We post those silly e-cards with jokes about stashes and our poor family and friends who have to deal with our obsession. When we found out about Rebecca's loss? We, of course, did what only quilters would do. The block was chosen. Color Pallettes "oohh and ahhhh"-ed over. Volunteers spoke up for parts. Binding. Piecing. Quilting. The Friendship Hexagon Block by Don't Call Me Betsy was chosen. Not too complicated for the beginners, not too boring for the veterans. 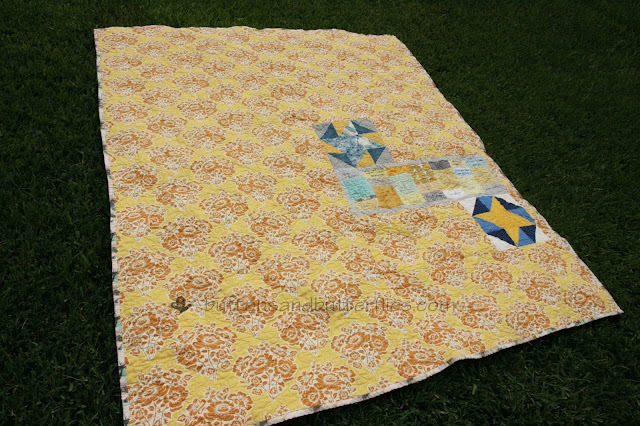 Blocks were sent to Lindsey at Happier than a Bird to be pieced. 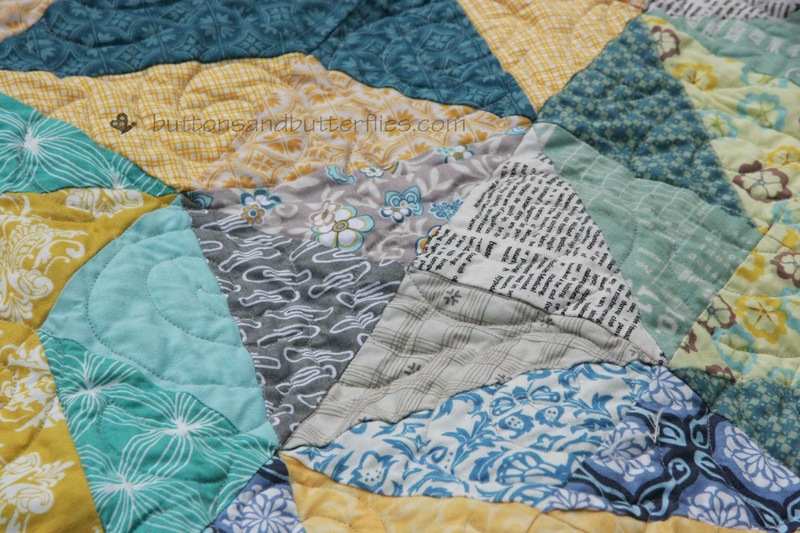 I adored how I saw different fabrics I recognized from my fellow quilters' stashes! Binding was chosen and prepped by Sandra. 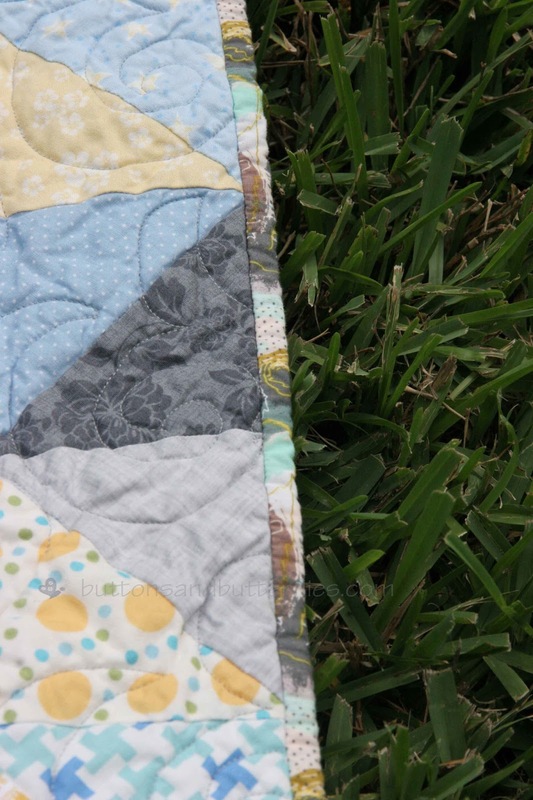 I love how it just blended at the edge of the quilt. All focus on the blocks!!!! The pieced top was sent to me for quilting. Pantograph before washing. Quirky is the pattern! Signature Blocks were sent in and I love how the two extra blocks were placed! One of the quilters linked me to Amy at Badskirt's card for her group quilt. I just tweaked it to fit our group and wanted the double hearts as if they were hugging! 24 Quilters!! Amazing group of ladies!!!! I truly hope this quilt brings her comfort. 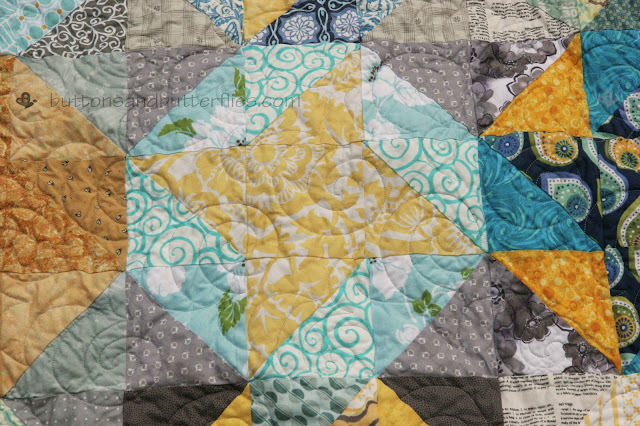 We are all aware that quilts can't fix the hurt, but maybe they can bring a little warmth to her when she is feeling blue. Because it is ONE GIANT hug from us all! 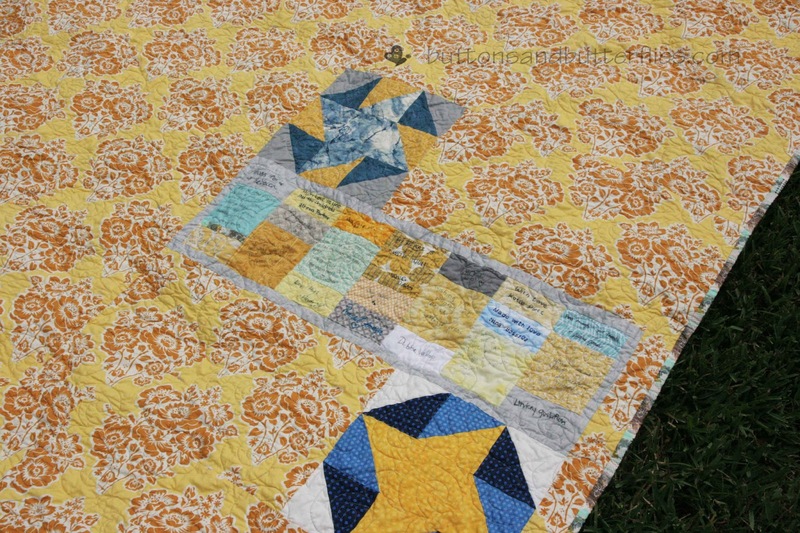 Thank you so much for doing the quilting and taking such beautiful pictures Heidi! I absolutely love how it turned out. So much love in this quilt. I stopped following you guys after you left BBC, so it's nice to see you are still together and supporting each other in the best ways possible. How beautiful, Heidi! 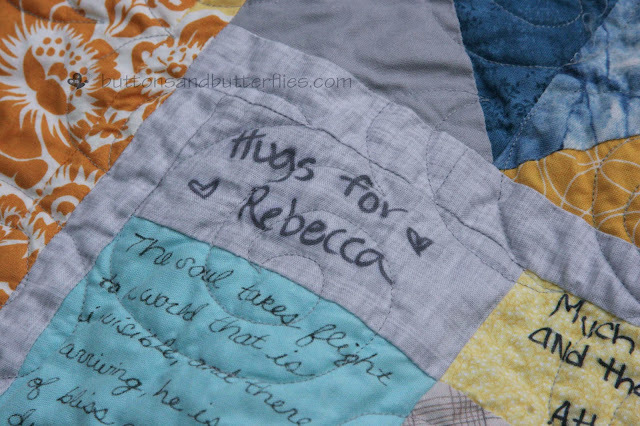 I think this quilt will speak volumes to tell your friend how much she is supported and loved during this time. What a blessing! 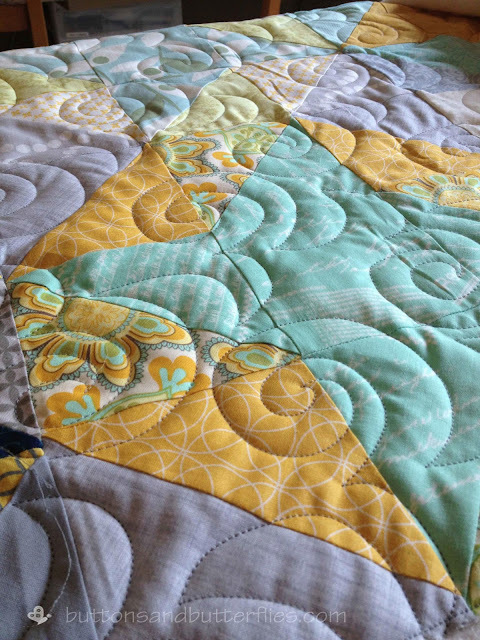 Absolutely stunning with the quilting Heidi, great job! thank you for quilting this Heidi! It was really so beautiful! 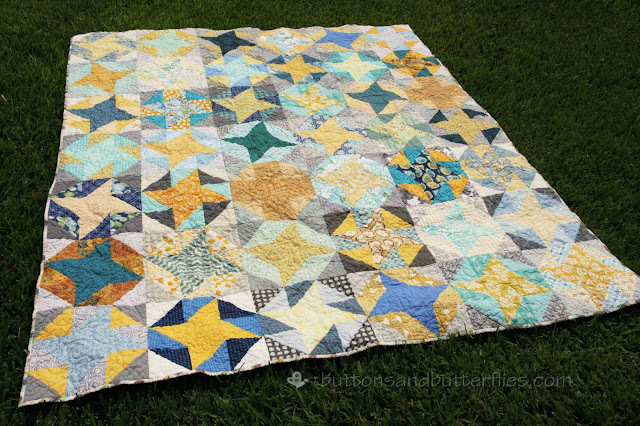 I just LOVE the work you and Lindsey did to turn all our blocks into one amazing quilt!!! I am honoured to having been part of this and sending some HUGS to Rebecca from across the big waters. What a beautiful quilt. I am sure it will be well loved for years to come. It is so incredibly beautiful. I love, love, love the colour palette and I can't believe the blocks were made by so many people and yet they look PERFECT together!